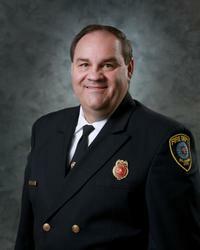 Chaplain (CPT) Ted Wilson has served the Oklahoma City Fire Department for six years as a volunteer chaplain and the full-time Fire Department Chaplain since 1995. He has two earned bachelor degrees and his Master of Divinity degree is form New Orleans Baptist Theological Seminary. Chaplain Wilson is an Intermediate Paramedic and has basic and advance training in Critical Incident Stress Management Team and is the Department Coordinator of the team. He has thirty-seven years in ministry and served as an enlisted soldier and a Chaplain (MAJ) (Retired) for thirty-six years in the Army Reserves and National Guard. After the bombing of the Alfred P. Murrah building incident, Chaplain Wilson assisted with one extended rescue; conducted on-site CISM activities; defusing; one on one debriefings; he was a resource for the twenty-four hour CISM process; monitored firefighters and other rescue agencies; prayed over the victims and their rescuers (inside the building) as well as conducting “mini” memorial ceremonies for the leaving Urban Search and Rescue teams. Off scene he assisted with victims and rescue workers concerning family care, ministry and numerous formal memorial ceremonies and funerals. He has assisted numerous agencies, groups and individuals with the aftermath of the terrorist attacks of September 11, 2001. Pre-publication copies of the lessons learn after the Murrah bombing have shared with all who have requested them. Chaplain Wilson has participated in many of the same activities in New York City as he did during the Murrah tragedy on five different occasions, with nine weeks on site. Chaplain Wilson continues to counsel and arrange specialized emotional care for firefighters and their families. He assists the families, victims and survivors of the Murrah bombing and the terrorist attacks of September 11, 2001 in both, public and private ways. The Oklahoma City Fire Department has been surveyed since the Murrah Bombing and Chaplain Wilson has been involved in this effort as well. This information was published in June 2002 issue of Fire Chief Magazine and in medical journals. the twenty year follow up is in process currently. He is married to Janice, and they have three children, Teddy Lee, Jeanna, Tressa and four grandchildern, Payton Abbigail, Jaxon Jo, Rose Clair and Mile Robert. AMBASSADOR OF GOODWILL: Presented by Governor David Boren, Oklahoma. MILITARY AWARDS: Bronze Star, 2/Meritorious Service Medal, Joint Service Commendation Medal, 2/Army Commendation Medal, 5/Army Achievement Medals, 7/Army Reserve Components Achievement, 3/National Defense Service Ribbon, Operation Iraqi Freedom Medal, Global War On Terrorism Service Medal, Humanitarian Award, 3/Armed Forces Reserve Medal, NCO Development Ribbon W/3 device, Armed Services Ribbon, Army Reserve Components Overseas Training Ribbon, OK Distinguish Service Cross, 2/OK Commendation Medal, OK Achievement Medal, Alpherd P. Murrah Service Medal, OK Recruiting Medal, OK State Active Duty Medal, Texas Adjutant General's Individual Award, Army Meritorious Unit Award and the U.S. National Guard Association's Valley Forge Cross of Gallantry.